We’ve all been there… It’s 5pm at work.. You un-dock your laptop from your three 24″ 4k monitors to head home and continue the coding fest from home on your single 17″ CRT monitor that you stole from work ten years ago. You can’t even see the file menu! 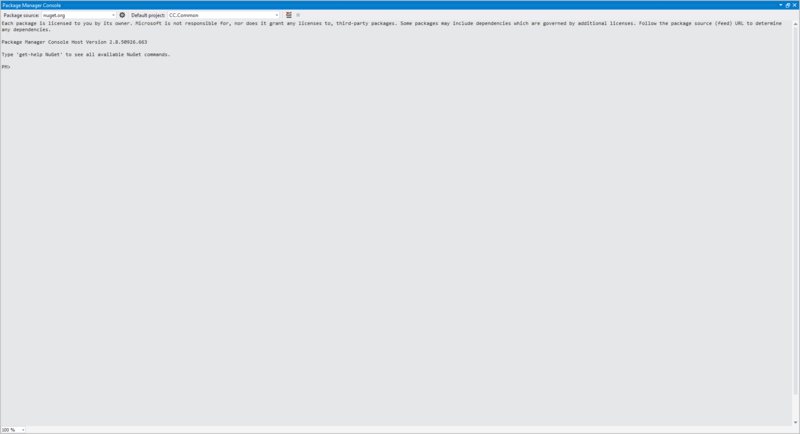 Prior to Visual Studio 2015, I would have used Layouts O Rama to deal with this situation. I have different profiles bound to keyboard shortcuts for each of the places where I typically work. So when I get home, I press a simple keyboard combination, and the screens are moved to where I expect them to be for that location. I love Layouts O Rama.. 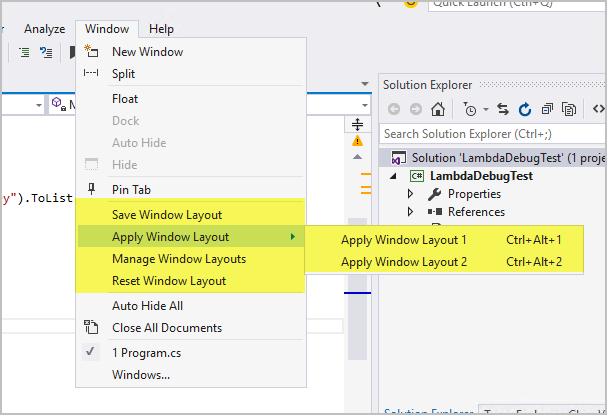 I really do.. and though it hurts to say goodbye, Visual Studio 2015 now has window layout management support built in! It works exactly as you’d expect, even going as far as to sync your window layout settings with your Microsoft account! So when the Windows 10 technical preview forces you to format your machine, your window layout settings will still be there later!